Another plot by the CIA to assassinate Castro has failed, he proudly boasts. Fidel Castro was the last of the great revolutionary leaders of the twentieth century to die. He died at 90 years of natural causes. It is true that Raul also participated in the command of the 1959 revolution and of his birth, but the younger brother only gained some political prominence worldwide after Fidel’s resignation in 2006 due to his retirement from power because of a disease in the Intestine. However, Fidel was the main strategist and organizer of the movement that seized the power of dictator Fulgencio Batista in 1959 and led Cuba for the following decades. Fidel was the man most persecuted by imperialism in the last 50 years. He survived more than 600 attempts by the United States to assassinate him. That alone would be enough reason to immortalize. But the fact that he led a victorious revolution in the beard of the empire, 150 kilometres from Florida in the heat of the Cold War; To have expropriated the whole of the local bourgeoisie and all the means of production that belonged to the USA and to have kept Cuba standing 25 years after the end of the Soviet Union are prowess that place it in the pantheon of the most important revolutionary leaders of the 20th and 21st centuries. It is true that he did nothing of this alone and that all this is due to the heroic Cuban people, but the head of this people was Fidel and no matter how much he has made mistakes, they cannot even minimize the role of this individual in history. 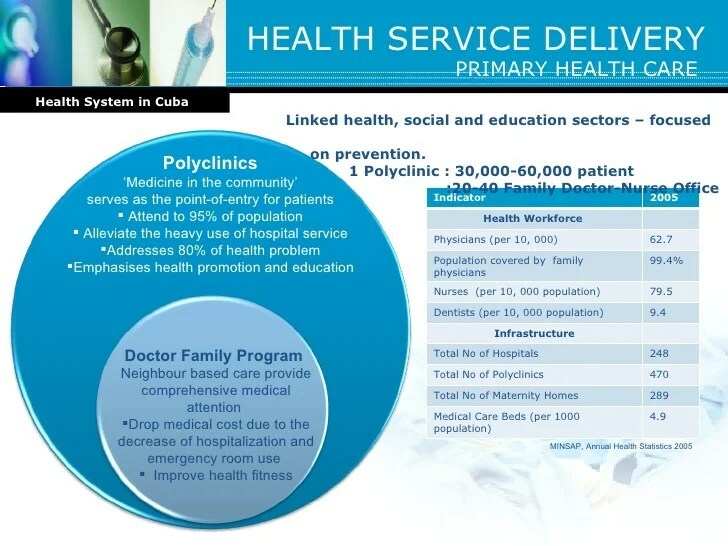 The integrated and state planned Cuban health service is by far the best in the world for the resources available to it. Puts the legendary British NHS to shame, not to mention the US health service. Thanks to the revolution and the existence of the workers’ state, Cuba “is the only country in the world without child malnutrition” (Unicef); “The only one in Latin America without drug problems” (UN); Which “has the highest life expectancy in Latin America” (ONEC); Which has a “primary schooling of 100% and secondary schooling of 99%” (Unesco); “Has twice as many physicians from England for a nearly five times smaller population” (The Guardian); Despite the imperialist pressure and the demonization of Cuba practiced by the world’s great bourgeois media “it is the Latin American country that least violates human rights”; And “is the only one in the world that fulfils ecological sustainability” (WWF). When Hurricane Willian struck on 3 October 2015 the Dominican Republic, which shares the island of Hispaniola with Haiti, suffered 4 deaths. Cuba, just 25 miles across the sea, also suffered 4 deaths because of a bridge collapse but Haiti lost 1,600 citizens and huge casualties besides. And therein lies the motivation for the Cuban working class and poor to retain the deformed workers’ state. Before 1959 Haiti and Cuba were sister states, almost equally exploited and raped by the USA. Havana was a Mafia casino and brothel city for US tourists. Now Haiti is the poorest country in the western hemisphere, super exploited by the likes of Disney Corporation with workers on a dollar a day type wages, its puppet leaders from Papa Doc Duvalier and Baby Doc imposed massive oppression by the murderous Tonton Macoutes on behalf of their Wall Street masters. The latter was ousted by a popular uprising in 1986, but the subsequent military dictatorship and the career of President Jean-Bertrand Aristide, ousted and re-ousted by the CIA and their local NGOs and corrupt political agents, made sure no leader of Haiti was tolerated by the USA if they displayed a modicum of independence and sympathy for the poor and oppressed. In contrast Castro openly defied the USA, defeated their attempted coups including the Bay of Pigs in April 1961 and survived numerous exploding cigar attempts by the CIA to assassinate him. 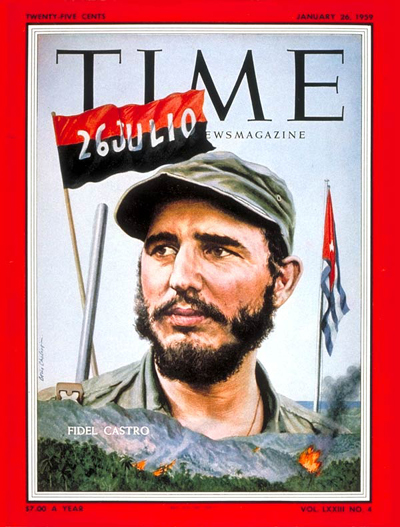 We claim from Fidel the fact that he objectively directed a victorious revolution, directed the armed resistance of the population to the invasion of his country by the counterrevolutionary worms sponsored by the CIA and the Pentagon in Bahia dos Pigs in 1961, and directed the expropriation of the multinationals in Cuba. Under the guidance of Fidel and Che, Cuba participated militarily in the liberation struggles of the African continent even though this continent was separated by an immense ocean and thousands of miles from Cuba, while Moscow’s Stalinism only militarily and bureaucratically intervened in the class struggle of the neighbouring countries in Eastern Europe, North Korea or Afghanistan to create a cordon protecting their borders. The particularities of the Cuban revolution and, above all, the pressure of the United States, as Che Guevara himself explained, obliged the ruling nucleus of the revolution to go always beyond what they wanted, in a continuous and uninterrupted way, in its line of rupture with imperialism and Capitalism, as we will explain below in detail. Cuba did not become a workers’ state after the overthrow of the dictator Fulgencio Batista and the seizure of power by the movement’s guerrilla army on July 26 in 1959. The revolutionary process at first did not have a socialist strategy. Its aims was only the achievement of democratic capitalist tasks such as the end of the dictatorial regime and agrarian reform. The Cuban revolution, which was never directed by a revolutionary party, was bureaucratised by its own internal limitations. This process of bureaucratization worsened when the fragile island needed material assistance and appeal to the workers’ state of the Stalinist bureaucracy in the USSR. But soon the principle and the policy of “peaceful coexistence” of Stalinism showed young direction of Cuban State how their Russian allies were unreliable. Che was disillusioned with the USSR government during the Cuban missile crisis in 1962, because he felt ‘ betrayed ‘ by Moscow who withdrew their armament from Cuba without warning to the Cuban Government, capitulating US pressure. organic component of imperialism, it is disproportionate to its economic weight fraction as a bourgeois class. We define what we understand as “Cuban exceptions” in this CLQI declaration of December 2014. The present of Cuba and its relation to the world is traced on these exceptionalities, with which new variables are combined, namely: Trump’s victory with Support worm and the death of Fidel, whose importance is seen relativized for the workers’ state since, although it exerted influence on the state apparatus, had already abandoned the conduction of the same 10 years before. Through the laws of Trotsky’s dialectic and legacy in the “Transitional Program” one must understand the contradictions of Cuba that exist only “thanks” to the blockade. The attack on the Bay of Pigs and the rupture of imperialism made the political revolution that overthrew Fugencio Batista into a social and economic revolution, anti-imperialist and anticapitalist. The blockade and imperialist pressure made Cuba survive the end of the USSR. Obama wanted to end the Blockade. This would facilitate negotiated restoration. Trump wants to block more, breaking the agreements of Obama and under pressure of the worms that helped him get elected, that is, contradictorily Cuba tends to reinvigorate, now with more support of the Eurasian block that advances on the imperialist domains. The fear now is that the Eurasian capitalists will restore capitalism with the help of the second generation of leaders and Raul Castro. Executed in Santiago de Cuba by Castro in 1959, without imprisonment and executions of counterrevolutionary opponents the revolution could not survive. World leaders have paid tribute to Castro and many of his enemies were forced to acknowledge his achievements. But even many leftist sympathisers mention his ‘faults’, including his great ‘fault’; his disregard for democratic rights. If only he had achieved these things without violence he would be just perfect, his liberal supporters say. His right-wing opponents say that all his achievements are of nothing because he did not allow ‘freedom, justice and democracy’. But there is violence and violence. The violence of the slave to break his or her chains can never be equated with the violence of the slave owner imposed to maintain those chains. One is progressive and liberating, the other is reactionary and illegitimate. And here we see one of the contradictions of the Cuban Revolution. Because the Castro brothers and the 26 July Movement did not see the struggle to overthrow Batista as a socialist or communist revolution. As we see Fidel specifically denied being a communist and it is clear that Kennedy understood that in the beginning “the first Cuban revolutionaries” were not Marxist-Leninists and wished only to establish a democratic bourgeois republic. Of course, we realise Kennedy’s statement is hypocritical in the extreme, the CIA organised the invasion of the Bay of Pigs in 1961 under Eisenhower but Kennedy was kept fully informed and explicitly approved it as President. And he was responsible for the economic blockade after Eisenhower in January 1961. But he points to a change between the “first Cuban revolutionaries” and what happened after the failure of the Bay of Pigs. The blockade of Cuba began October 19, 1960. Cuba had done a barter deal of sugar for oil with the USSR because restrictions of Cuban sugar sales to the US were imposed. The US-owned refineries refused to process the Soviet crude and Castro nationalised them without compensation. The imposition of the blockade forced Castro into the arms of the USSR and as we see from the quotes above he now began to proclaim himself a Marxist-Leninist and the revolution as socialist. The blockade was extended in September 1961 after full nationalisation and state planning was introduced and the country was obviously now a workers’ state. Part of the reason for the survival of Cuba also was that other countries were unhappy about the blockade and wanted to trade. The Helms–Burton Act 1996 was directed not just at US firms but contained an extraterritorial clause that attempted to forbid all countries from trading with Cuba. The European Union was opposed to the Helms Burton Act as were Canada and Mexico and the US made various attempt to sanction private corporations that it viewed as breaking its rules, viewed as illegitimate by these countries. It is worth noting the Organisation of American States initially expelled Cuba in January 1962 on US urgings and agreed to readmit it in June 2009 but Cuba has not accepted the invitation and has refused to return. On 6 May 2005, President Fidel Castro said Cuba would not “be part of a disgraceful institution that has only humiliated the honour of Latin American nations”. John Lister, formerly of the Trotskyist Workers Socialist League and then of the Socialist Group wrote Cuba: Radical face of Stalinism in 1983. It provides an excellent account of the history of Stalinism in Cuba up to 1959. Despite Castro’s purging of the worst elements of its leadership, including those who had acted for long years as Batista’s agents and who had opposed Castro’s June 26 Movement to the extent of supplying names of his supporters to Batista for assassinations it remained abjectly Stalinist. The Cuban CP as it became again after 1965 was a radical Stalinist party and a strong supporter of socialism in a single country, albeit with the exceptions mentioned above. Castro supported the Russian tanks crushing the Prague Spring in 1968, he supported Martial Law suppression of the Polish trade union Solidarity in 1981, and the massacre of the students and youth in Tiananmen Square, China in 1989. In November 1939 the CP ran in elections as part of a “social democratic” coalition of Batista supporters, and in 1940 the Party helped the Colonel draw up a new Constitution which placed wage bargaining in a structure of labour courts and the Labour ministry, with scope for direct Presidential intervention. The CP was the first to back Batista’s candidacy as President in the 1940 election, and in 1942 was further rewarded for this craven support when two Stalinist leaders, Carlos Rafael Rodriguez (today’s Vice President under Castro) and Juan Marinello were included in Batista’s cabinet as part of what they termed a “government of national unity”. An obedient CP-led CTC that same year voted at its Congress to renounce any strike action for the duration of the war. Batista was fulsomely praised as a “great democrat”, and “the great man of our national politics who embodies Cuba’s sacred ideals.” But when Batista was succeeded as President by a returned Grau San Martin, the PSP, eager to defend its bureaucratic positions in the union hierarchy, offered Grau a similar degree of support. CPer Marinello was appointed Vice President of the Senate. Nor were these differences with Castro merely the subject of academic discussion or abstract polemic. Stalinist parties have never scrupled at the outright sabotage of opposing political currents and struggles which they cannot control, and the PSP was no exception in the 1953-58 period. The Stalinists assigned informers to disrupt and destroy the student Revolutionary Directorate (DR), which, fighting in solidarity with Castro, had proven stubbornly resistant to the wretched politics of the PSP. In the summer of 1957 one such informer, “Marquitos” Rodriguez, supplied the police with the details of the whereabouts of four leading DR members, who were then summarily machine-gunned to death. “Marquitos” was smuggled out of the country by PSPers, and was eventually received with honours as a member of the Mexican CP. Unconditional defence of Cuba against imperialism and political revolution against capitalist restoration! With Trump’s victory and the expansion of the influence of the anti-communist reaction and the White House bourgeoisie, it is necessary to reinsert on the agenda the unconditional defence of the Cuban Revolution against any blockade or measures of sabotage on the part of imperialism. This: “In line with Soviet policy he advised Allende in Chile against nationalising the economy. He told him to disarm his supporters and rely on the military led by Pinochet, all dangers he had overcome empirically himself. » is a mistake. On the contrary, he support staunchly the nationalisation of the mineral riches of Chile and advise Allende and the parties of the Popular Union against the danger of « Fascism ». You can find in Youtube, an interview between Allende and Castro ( in an Argentinian broadcast in Spanish). viriato, the error is corrected now. Thanks for pointing it out. This is not exactly the same that I quoted: In the first paragraphe it is said that he disapproved the nationalization and this is just not true. And even if he publicly support the « parliamentary road » of Allende, in private he was very clear saying exactly the contrary, that the imperialist will not stop till putting down the Allende gouvernement. 1. Why is Cuba a workers state when China isn’t? Are they both headed in a capitalist direction, which SF has called the criterion for class rule? Mystifying. The seizure of power by a petty bourgeois grouping with neither a socialist program nor even a democratic one *automatically* establishes a workers state? Would be interested in your reasoning. That second objection by Stephen Diamond is right and an error in translation. It is corrected now. The difference between China and Cuba are that the Chinese CP are consciously introducing capitalist property relations and remaining nationalised property is to assist that. It is the other way around in Cuba. It is still an economy based on state property with concessions to capitalist property relations designed to maintained the planned property, not least in the education and health systems. So the objection is correct, Castro’s intervention in Chile in 1971 WAS to warn him of the dangers of the road he was pursuing. We stand corrected.